This mountain range, which is also known as Mt. Malarayat, is one of the major features of the Southern Tagalog landscape, which also includes Mt. Makiling, the Mt. Banahaw complex, and Mt. Maculot. It is also sometimes spelled as Malipuño. This mountain is cool, forested, and verdant for the most part, even the summit. Other areas are grassy, like those near Manabu Peak. Its vastness gives rise to three destinations: the highest peak of Mt. Malipunyo; Mt. 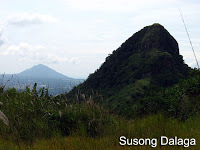 Susong-Dalaga; and Manabu Peak. These three are interconnected, although a separate itinerary exists for 2-hr trek to Manabu Peak. The customary trip is a traverse from Brgy. Talisay in Lipa City to Brgy. Atisan in San Pablo City. This trip entails a 3-4 hour climb, passing by woodlands and forested areas. A water source will be encountered an hour up, beyond which some parts would be steep, but with plenty of small trees to hold on to. The 4-5 hour descent north to San Pablo City involves the same trail for the first half; it will then branch off to San Pablo after a grassy area. Malipunyo actually has three peaks with almost identical elevations, with the summit (Peak 3) rising to 1005 MASL. In April 2008, the summit has been cleared of trees to become a viewdeck. An plaster statue of the crucifix has also been erected. In this viewdeck, and elsewhere in the summit, one can see Mt. Maculot, Taal Lake, Mt. Atimla, Mt. Kalisungan, the Banahaw complex, and Mt. Makiling. The two other peaks — Susong Dalaga and Manabu Peak — are also visible. Don’t expect the views to be spectacular, though. Basically, the attraction of Malipunyo is its forests. Though not grand like that of Makiling, it has a rural feel. 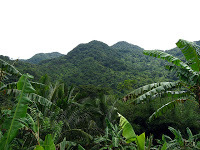 Fruits such as sintunis (a form of citrus) and sampinit (wild strawberry) grow in the slopes of this mountain. Animals such as wild boar, monkeys, and iguana are also claimed by the locals to be present in the mountain. and camping at the summit affords cool breezes. The usual staging-off point is Lipa. This city has become a major commercial center in Region IV; it has three malls and is readily accessible by the STAR Tollway. Buses regularly pass by Lipa on the way to Batangas City and other destinations in Batangas. From Lipa, tricycles can take you to Brgy. Talisay for Mt. Malipunyo (or Brgy. Sta. Cruz, Sto. Tomas) for Manabu Peak. 1200 ETD to Sitio Talisay. 1700 ETA Summit. Set-up camp. 1130 ETA Brgy. Atisan. Tidy up. Transportation. From Manila, you can take buses going to Lipa or Batangas City (~P100). As much as possible, try to drop off at Fiesta Mall or anywhere near, where tricycles may be paid between P50-80 for a trip to Brgy. Talisay. Tell the tricycle to take you to the barangay outpost. Logistics. A guide may be arranged at the barangay outpost. Look for the barangay officials, who will ask you to register on a logbook. They will also arrange a guide for you. As of May 2008, P500/day is the fee although it is customary to give an extra. Cellphone signal is present throughout most of the trail. Technical notes. 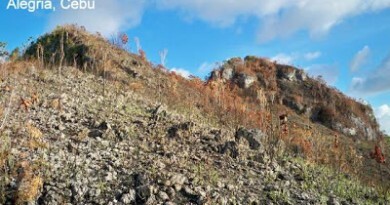 Noxious plants, including the pruritogenic (itch-causing) lipa trees (for which the city was named) are present in this mountain; it is best to take this in consideration in clothing selection. Trails are interconnected and quite confusing so be vigilant. Only one water source are available in the above-mentioned itinerary so prepare 3-4 liters from that point. An alternative is to climb the summit by a daytrip. This is possible if you leave Manila by 0500hr. If you are very early and your pace is very fast, you can even do the traverse in one day! Traverse trails. If a group intends to visit all three peaks of the Malipunyo range in one trip, then a Malipunyo-Manabu traverse is the best choice, plus a Susong Dalaga sidetrip. Although interconnected, the trail to Susong Dalaga branches off from the trail to Malipunyo early on from Brgy. Talisay. Thus, the recommended schedule is an early arrival at Brgy. Talisay on Day 1, and climbing Susong Dalaga early in the morning (1-2 hours up; 3 hours total). And then, after lunch, the group can commence the four-hour climb to Malipunyo summit, camp there, and then descent the next day to Manabu. The exit point would be Brgy. Sta. Cruz in Sto. Tomas. The reason why a Manabu-Malipunyo traverse is less preferred is that the guides at Brgy. Talisay seem to be more familiar with the entire range, and they can take you to all three peaks in two days. Just prepare allowances. If a traverse to San Pablo is desired, then an additional day might be required. 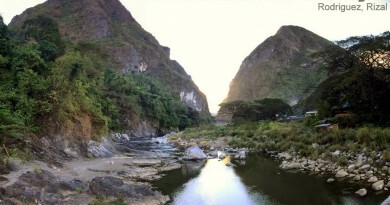 At least three mountains are called ‘Susong-Dalaga’; Jose Rizal called Mt. 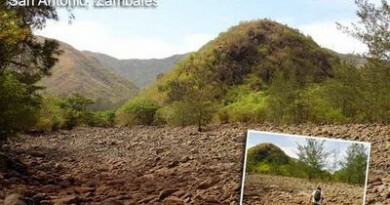 Tagapo in Talim Island as such; and another similarly-named mountain is found in Rizal. However, the shape of the Susong-Dalaga of Mt. 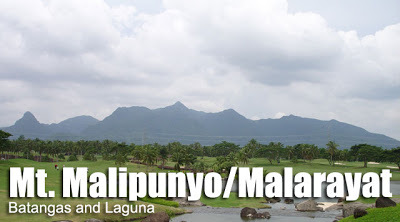 Malipunyo is, in the author’s opinion, truer to its name. Other trails, including one from Tanauan, may also be used but these are more challenging and less-established. There is also a trail to Tiaong, Quezon from the summit. In the olden days, young men of Brgy. Talisay used to do the traverse to San Pablo for another reason — and perhaps equally adventurous: they would bring a guitar across the mountain, set off at dusk, and serenade the ladies of Brgy. Atisan in San Pablo! They would return on the same night. 209 Comments on "Mt. Malipunyo (Mt. Malarayat) 1005+"
my akyat po kami sa 7 sunday, dayhike maltrav si kuya mario guide nmin, my usapan n po kami. he was referred by my friend. 1,2 daw guide fee sabi nya eh 8 pax sila, which i think is fair lalo n kung mdmi kayo, mura n din it depends kung bet nyo pa dagdagan.. and kung maghapong hike sa nkkligaw n trail. need tlga ng guide. sa gusto sumama pm lng po sa fb bronzy garcia. ann vicente – i guess you guys were ripped off. 200 for the brgy? 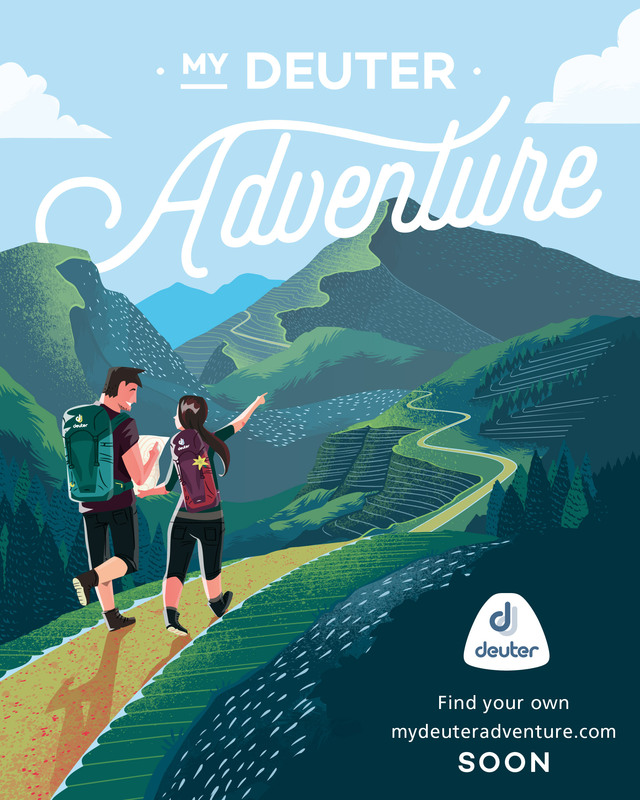 anyway pwede po bang wala ng guide? will be here on nov29-30. tia.